The Eye's gaze fell upon the an article in today's Herald where 8th District hopeful Republican Long Grove Mayor Maria Rodriquez suddenly discovered the "53" Kool-aid and supports it. Although a few months ago she was "adamantly opposed" to extending Route 53. Long Grove and Kildeer have been the main obstacles to Route 53, along with former State Senator Bill Peterson who lived steps from the proposed alignment and steps from Maria's mansion as well. Now after seeing the results of the countywide referendum on the 53 bypass where 95% of all precincts in the county voted yes (except for the ones in Long Grove and oddly one in Shields township along the lakefront), Maria realizes that she needs to change her tune. I am sure her polling told her the same thing as well. It also amuses us that the change of position (i.e. 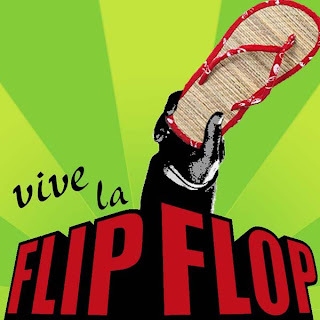 Flip Flop) comes a few days before Christmas on a Friday, the classic news dump hoping you, the newspapers and opponents did not notice. The Eye realizes that politics trumps principle these days and we applaud Maria for finally seeing the route 53 light. However one can only guess how the "I was against it before I was for it" attitude will play out with the voters.